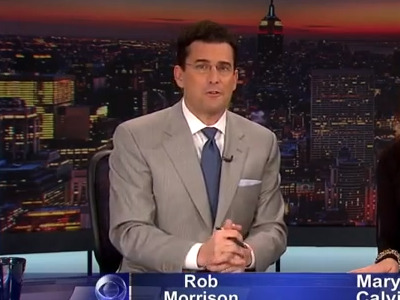 Rob Morrison announced today that he has resigned his position as a CBS 2 news anchor, effective immediately. Morrison was arrested charged with trying to strangle his wife Ashley Morrison, the anchor of CBS “Money Watch,” during a domestic dispute at their Darien, Connecticut home on Sunday, the New York Post reported. He’s currently free on bail and denies putting his hands on his wife.